I love the way I can continue to get work done here while waiting for my car to get repaired! Great experience! Thank you David Grohs for helping us for get our new Tundra! This is my 2nd vehicle I’ve got from this dealership and both times I have had an amazing experience!!! Everyone was amazing and friendly. No pushiness or hassling me. Every suggestion or comment I made, they were understanding to what I wanted. Eric Kayse worked with me on both purchases and went above and beyond to get me the vehicle I wanted. He spent so much time working with me on numbers and the best options for me financially. 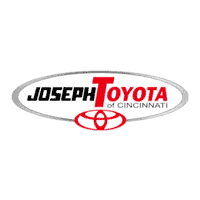 I have recommended friends and will continue to recommend Jospeh Toyota!! I will also be back when I’m ready to make my next purchase!!! Great Toyota dealer. I have purchased or leased 4 vehicles. Both new and used. Have been very happy with the group there. I schedule a service check for my 2013 Corolla. I was really apprehensive at first. Because I usually take my car back to the dealership I purchased it from and allow them to change the oil, do a multi-point inspection, and car wash. I had some concerns about my car and wanted certified Toyota mechanics to look at it or give feedback about the issue. Brett Lane the service clerk was AWESOME at given me feedback about the concern I had about my car and being honest about the services I would receive on my car today. Thanks to Brett I know what NOT to do when fueling my car in the future. Kyle did an awesome job with my car, after a new oil change, tire rotation, new air bag, multi-point inspection and car wash. My car has been driving great.